Every year we plant several varieties of tomatoes. 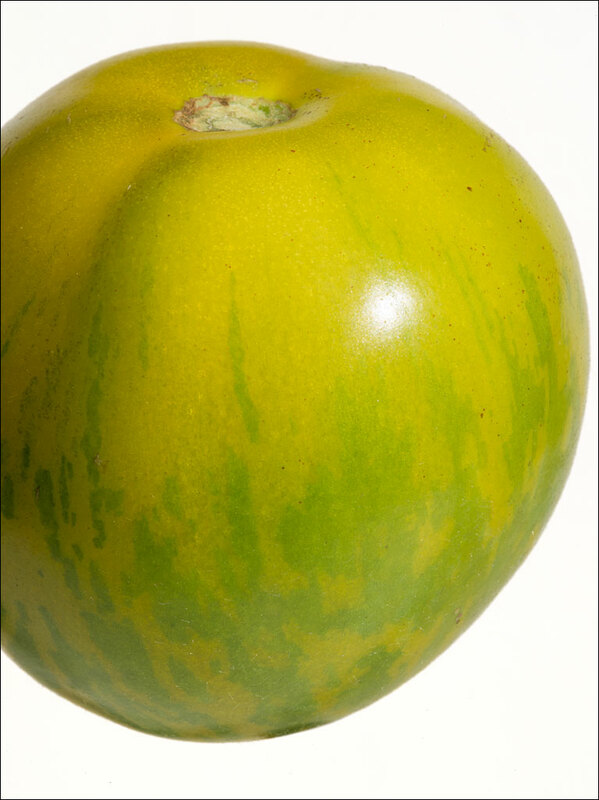 This is a green zebra, which develops a slight yellow blush just as it ripens, but is predominantly green. The fruit has a tangy flavor, firm flesh, and juicy interior. It is great in salads. The plants are productive, but the tomato is on the small side, 3–4 oz. or 80–100 grams. Click on the image for a larger view.